The glacially paced Undercover Policing Inquiry, set up in 2015 and still wading through demands by former police officers for anonymity, recently released a limited number of new cover names of members of the Special Demonstration Squad (SDS) who spied on campaigners during the late 1960s and the 1970s. Many ex-SDS officers are now deceased, whilst few of the groups they targeted in this period and who are linked to the latest batch of cover names have existed for decades. Although Mark Kennedy, the undercover officer whose exposure triggered the public inquiry, was active as recently as 2010, the continuous obstruction by the Metropolitan Police and a desire by the inquiry to obtain evidence before more elderly former officers die too has undoubtedly had an impact on public perceptions of this long-running scandal. We know, however, that police intelligence-gathering on the activities of protest movements in the UK continues to this day. We know too that he label of “domestic extremist” remains a critical justification for this surveillance, even though a credible definition robust enough to withstand legal scrutiny has proven elusive. This is why, on Monday 5 February, we are marking the fifth annual “Domestic Extremist Awareness Day” with a call for a complete end to the application of this meaningless but sinister label against all legitimate political dissent. In previous years, we demanded the abolition of the secretive national unit responsible for mass surveillance on political campaigns. Its existence has proven an increasing embarrassment to the Metropolitan Police and it was eventually consigned to history, although its functions were largely absorbed into the police’s national counter-terrorism structures. 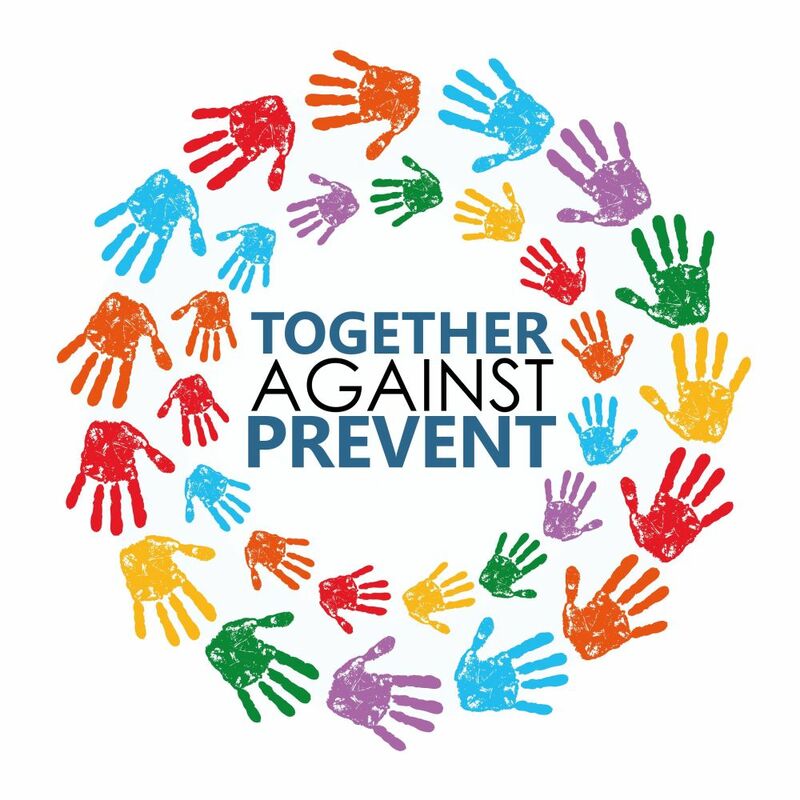 The smearing of individuals and campaigns has, however, endured unabated: a regular feature of Prevent ‘counter-radicalisation’ workshops where causes that have no association with terrorism are portrayed in the most negative light. The revelations that led to the Undercover Policing Inquiry demonstrated how unaccountable political policing has a tendency to elevate the hunt for so-called ‘extremists’ to the point of obsession. 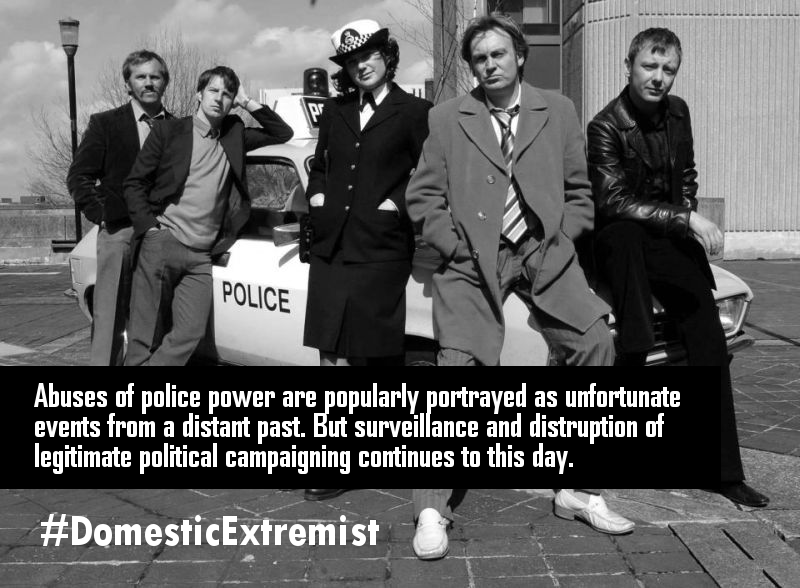 Netpol argues that the police have no business conducting surveillance based solely on people’s political beliefs – and as a first step, we must consign “domestic extremism”, a term that has absolutely no legal basis, to history too. Taking to the streets and expressing our dissent is a right we can take enormous pride in exercising. On Monday 5 February, we are therefore holding a pre-work protest outside the Metropolitan Police’s new headquarters on Victoria Embankment between 8am and 9am. It is close to Westminster tube station (see map). We are then heading to the Royal Courts of Justice for the latest hearing of the he Undercover Policing Inquiry, starting at 10am. If you cannot make it, we are asking campaigners to share photos of their protests, actions and assemblies on social media – making it clear the police must stop spying on us – with the hashtag #DomesticExtremist.